Guest Post by Huu Nghiem. 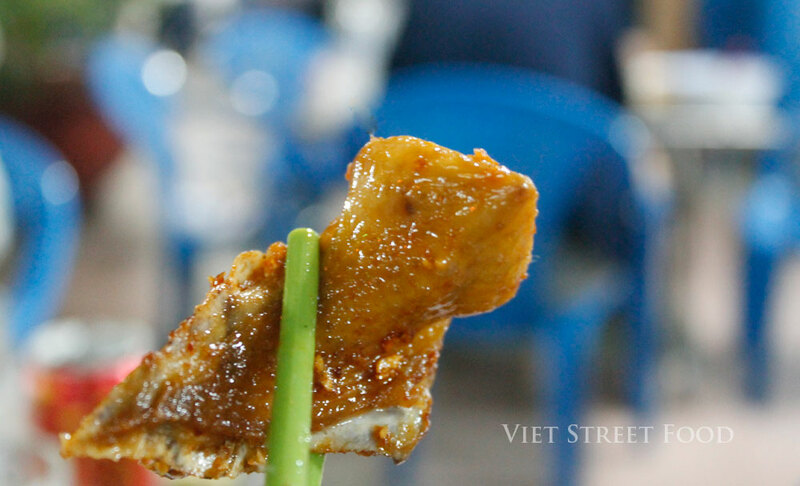 I realize that Vietnamese love chicken much more than beef or pork. 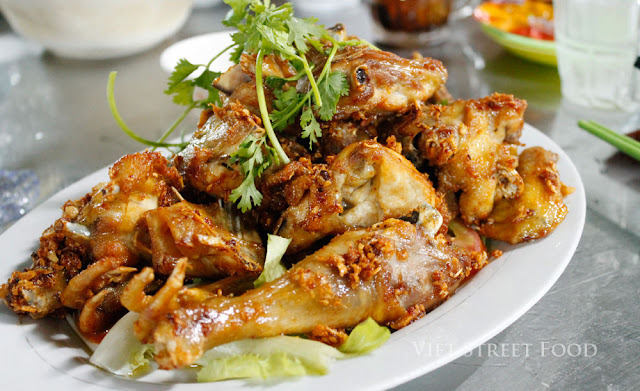 Chicken is an unavoidable item for any traditional celebrations, this "bird gives birth every day" always has a special place on the altar during any of family anniversaries. 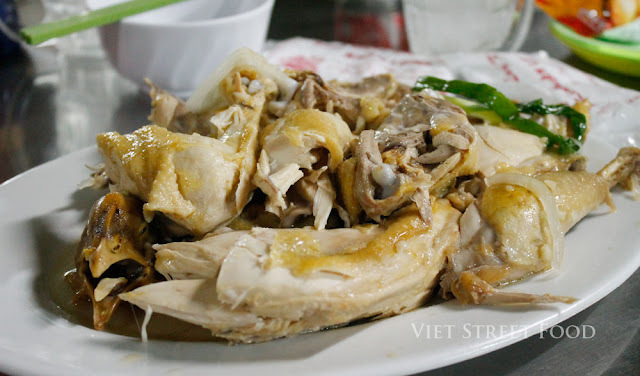 And whenever we talk about chicken - it should be "Vietnamese chicken" (gà ta) or "garden chicken" (gà thả vườn). These two phrases means a kind of chicken being kept freely in the farm, not in a huge industrial cage, they are not fed with special industrial bran, but anything they find in the garden, from human's leftovers, rice to the earthworms. Those "free" chicken are smaller in size, give less meat but their meat is far better, tastier than the"industrial chicken". 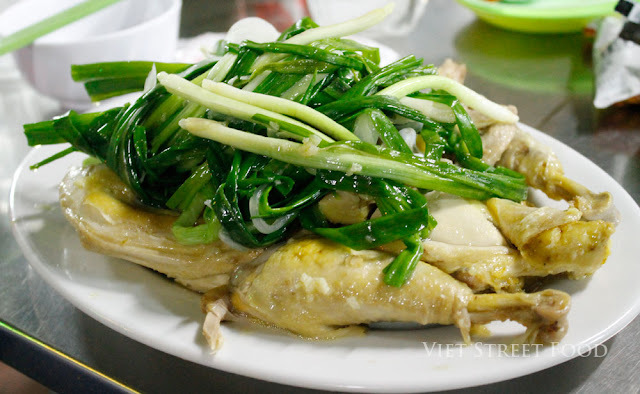 Gà hấp hành - steamed chicken with green onion, superb good, flavored with onion. When they serve, not a plate of few pieces of chicken, but a whole chicken. So either you go there alone or with friends they always serve a full plate. Better be in company, if you don't want to end up with a lot of leftovers on the table. 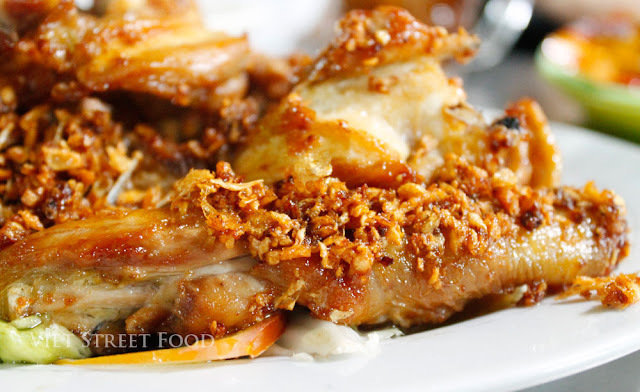 Roasted chicken with a lot of garlic. Very tasty. I really like small golden ground garlic, so garlicky, so tasty, crispy and flavored with fish sauce! 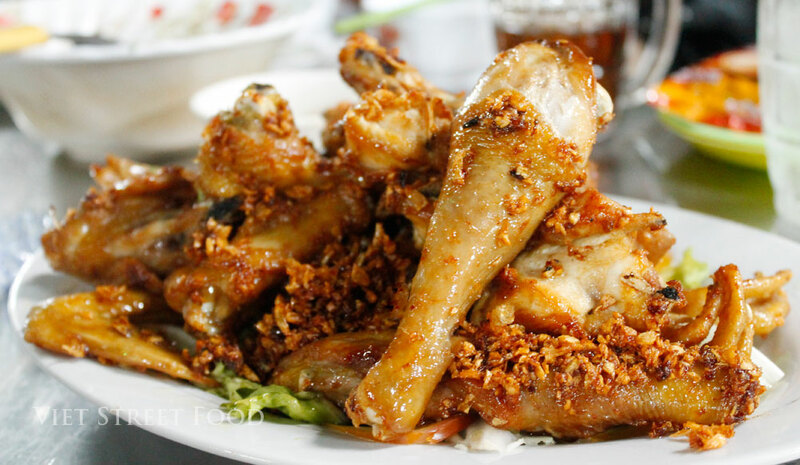 and from toe to buttock, by the way, chicken's buttock is a favorite part to many foodies. We couldn't order all seven chicken dishes in their menu, I would love to try others, so I surely come back here one day. The only problem I have is how to get here! 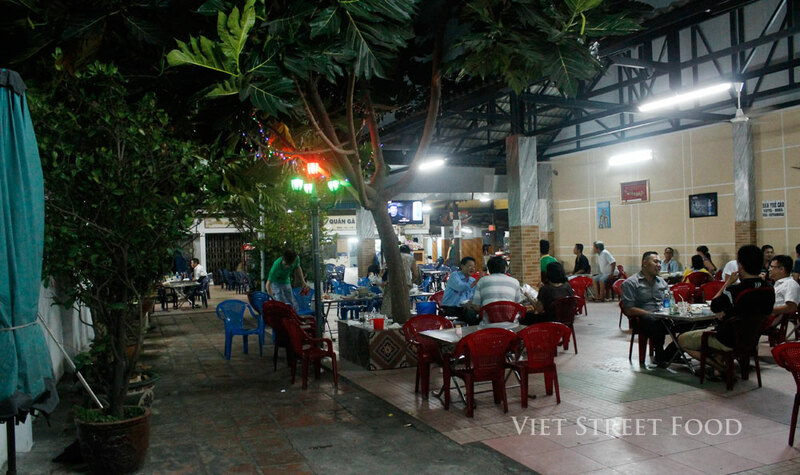 It's a real tricky, the place looks very spacious but located in small alley that we do need a guidance. But believe me, it's worth trying!